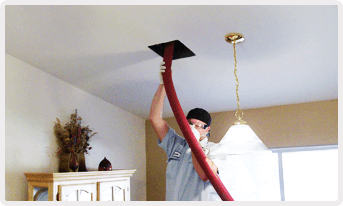 Air Duct Cleaning can provide relief for people with allergies or more serious breathing problems in their homes. According to the EPA, the average home accumulates as much as 40 pounds of dust and particulates per year. Fortunately, a dust problem is easy to diagnose and easy to resolve. Is there an unusual amount of dust in your home? Have you noticed any unwanted odors? Do you see dust or black marks around your supply air registers? Do you or anyone in the home suffer from allergies or breathing issues? Janal Heating & Air conditioning can provide solutions for cleaner, fresher air in your home.